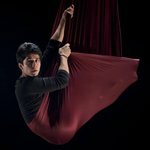 Media Hub - How to Wash Aerial Silks. To many people outside of the circus scene aerial acrobatics must look pretty glamourous. Those of us who train and perform aerial circus know different. The “glamour” of a performance is only a small and fleeting part of an aerial acrobat’s life. 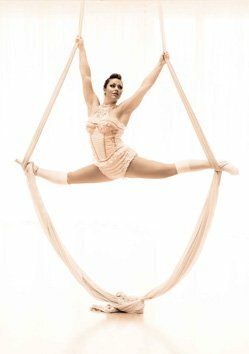 There are many people who train aerial simply for the fitness and fun aspect and don’t even indulge in the razzmatazz of performing. Whatever you’re reasons for training aerial you know the blood, sweat and tears that go into perfecting those awe-inspiring tricks. Unfortunately, that blood, sweat and tears has a habit of ending up on your lovely silks or yoga hammocks. If you run aerial silks or aerial yoga classes you’ll know that your apparatus gets soiled even more quickly. There is nothing less glamourous than a stinky silk infused with the sweat and toil of several people! The only answer is to wash your once sweetly smelling silks. But how do you wash aerial silks or aerial yoga hammocks and slings without affecting their strength, and thus safety, or their vibrant colours? Here’s our guide to safely and effectively wash your aerial silks. For the lazy and less hygienically-minded of you out there you can temporarily improve your silks’ musk by using products like Febreze and Oust. These products won’t damage your silks but it is only a temporary measure. It’s much better to properly wash them. The good news you can machine wash aerial silks. • You should properly inspect your aerial equipment before every use but while you’re preparing to wash your silks it’s a good opportunity to give them an even more thorough check. • Wash on a cold, delicate wash. So far, so good. Now you need to dry your freshly washed, clean and sweetly smelling silks. • Never tumble dry your silks, even on the lowest setting. Tumble drying your silks will damage the fibres making the silk weaker and therefore no longer safe to use. • Avoid drying your silks outside or in direct sunlight. UV rays can also damage the material compromising their strength and making them unsafe to use. • So, dry your silks inside, away from sunlight. • If your training space is well ventilated you could even hang them from a point and let them dry there. To speed up drying you can direct a fan at the bottom of your silks. • Make sure your silks are completely dry before using them again. So there you have it. A simple, safe and effective way to restore the glamour to your aerial silks or aerial yoga hammock.